Cockroaches are mostly nocturnal insects that include about 4,000 different species. Of that number, only about 30 can be found living where humans do and four are well known household pests. Every cockroach is a scavenger and will eat anything it can find. They have been known to eat soap, glue and even electronic wiring. Learn to identify the four main cockroach species that cause problems for people. There are four cockroach species that commonly infest homes and living in any crack or crevice they can find. 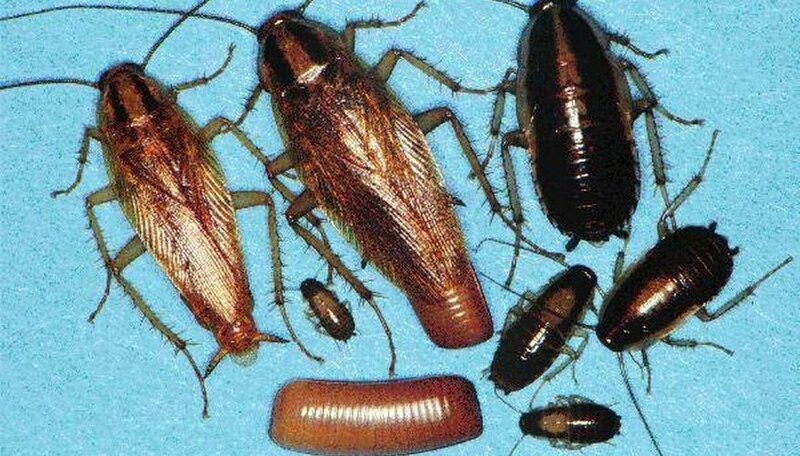 The American cockroach, the German cockroach, the Oriental cockroach and the Asian cockroach are common household pests. Each have a different look but almost all cockroaches share an oval-shaped body that appears somewhat flattened, along with long antennae. If you were to view a cockroach from above, you would have a hard time seeing its head. 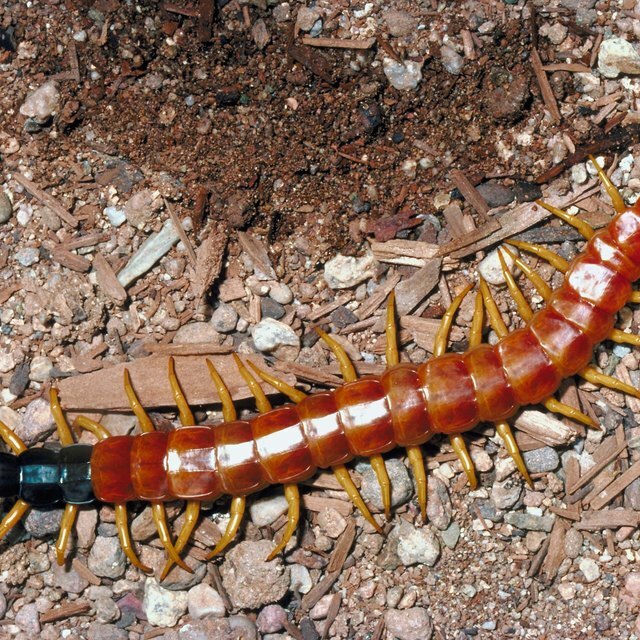 The six legs are covered with spines in these species. The American cockroach is no stranger in the southern United States and in tropical regions around the world. It has wings and can grow as long as 1 1/2 inches. It is reddish-brown and possesses a yellow stripe behind its head. The American cockroach is fleet afoot and are among the fastest of all running insects. One was clocked at 3.5 miles per hour, which would be the equivalent of a human running at a speed of 200 miles per hour. The species is also found in colder regions, where it lives inside. especially during the winer months. A smaller cockroach, the German cockroach is approximately 1/2 to 5/8 inch long. It can come in shades of tan that vary to nearly black and it has two streaks that run parallel to each other from the head to where the wings start. It is one of the most common cockroaches in the entire world and can be found wherever there are people. Restaurants are a favorite place for this pest to live. Despite its name, the German cockroach is originally from Asia and is more populous in countries like Russia than it is in Germany. The Asian cockroach is often confused for the German cockroach. They are almost identical, but the Asian cockroach, which is the same size as the German, has longer wings and a groove in its abdomen. The easiest way to differentiate the two species is if it can fly, it's an Asian cockroach. German cockroaches do have wings, but cannot fly. The Oriental cockroach is a medium-sized species of the insect, about 1 inch long as an adult. It is dark brown or black and has a shiny body. The female has a wider body than the male. It is often called a waterbug because of its preference for moist places to live. The Oriental cockroach is found in sewers, basements, drains and under leaves and mulch. Lindell, John. "What Do Cockroaches Look Like?" Sciencing, https://sciencing.com/what-do-cockroaches-look-like-4597389.html. 24 April 2017.